Across from the Ba Dinh Square from Ho Chi Minh Mausoleum Building and in between Ho Chi Minh complex and Thang Long ancient city is Vietnam War Memorial. Built in 1993, the Vietnam War Memorial (Đài tưởng niệm các Anh hùng liệt sỹ) commemorates men and women who have sacrificed themselves to protect national independence and freedom. The main monument is situated in a well-balanced area of trees, yards and ponds, following the traditional architecture arrangement of Vietnam. 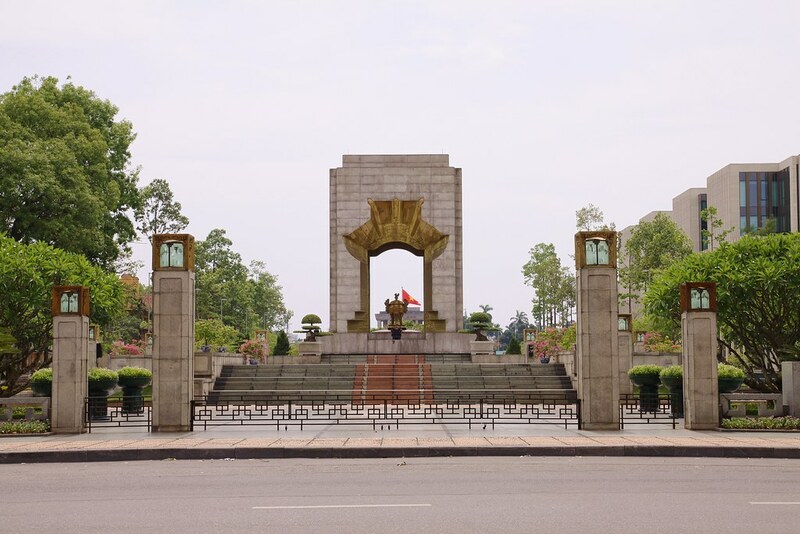 The way that it was designed, in harmony with land, sky, air and water, is believed to keep the examples of these heroes forever in Vietnamese’s mind. In important occasions, such as presidential visit from other countries, it is popular for the high-ranked government officers to show their respect at the memorial, by bringing flowers or putting on incense.